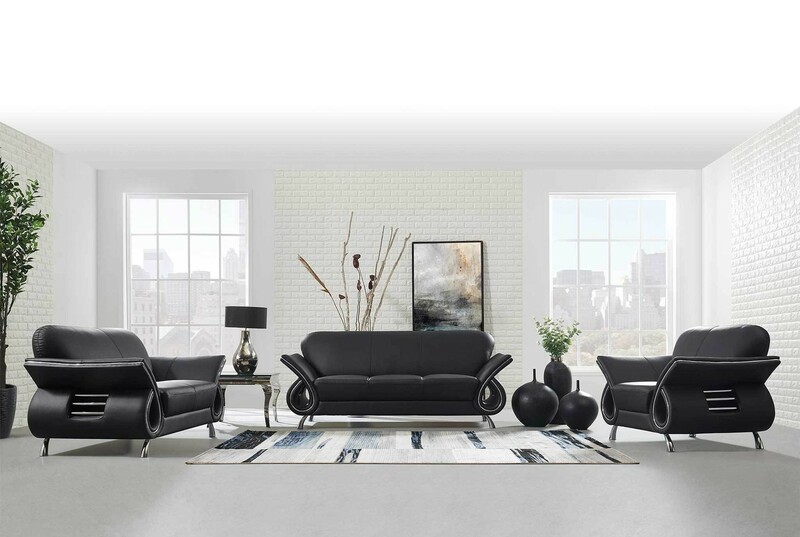 U559 living room set in black leather includes sofa, loveseat and chair with comfort, durability and contemporary style. Featuring black leather accented by metallic lining that runs down the arms with unique tube inserts design. Exude an air of modern panache with this handsome living room grouping from Global Furniture. This set is sumptuous to behold with its leather air upholstered flared arms and chrome legs. The high backs provide support while you watch TV, and angled arms give your neck an instant prop for your afternoon nap. U559 living room set is also available in a two tone orange and beige leather.